Apple has today announced that it will launch the iPhone 5 in 50 more countries in December, in an unprecedented sales push for the Holiday season. Chief executive Tim Cook’s logistics genius started to show as Apple managed to cut down shipping times to a week or less, just in time for the busiest shopping season of the year. The iPhone 5 is likely to finally become available to everyone who wants it without the ridiculous waiting time of several weeks. Apple’s timely approach to the iPhone 5 launch sits in stark contrast to Google’s largely failed Nexus 4 launch. Unlike the iPhone 5, the Nexus 4 has gone out of stock for its 8GB version again, and you’d need to wait for after New Year’s to get the 16GB version. 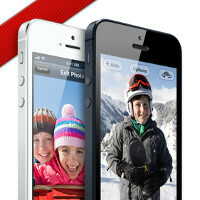 The iPhone 5 is right now available in 47 countries among which the biggest markets across the globe. But the absolute biggest, China, is getting it on December 14th, and the huge market of South Korea will see it launch on December 7th. Hit the press release below to get the full list of countries where the iPhone 5 will become available in December. Who cares? We all know Samsung and Sony are going to dominate during the holidays. Apple, Samsung, and HTC are at the top right now so Sony is irrelevant. Who cares? How many of these phones r u gonna buy? The fact you don't have Samsung either in front of Apple or behind Apple makes your post ignorant. What was Apple doing from before? Waiting for iP5 to be ripe enough to be plucked from the tree?? Ok so they have huge unsold inventory this means as far as their regular markets are concerned. At least that's how i would interpret it.